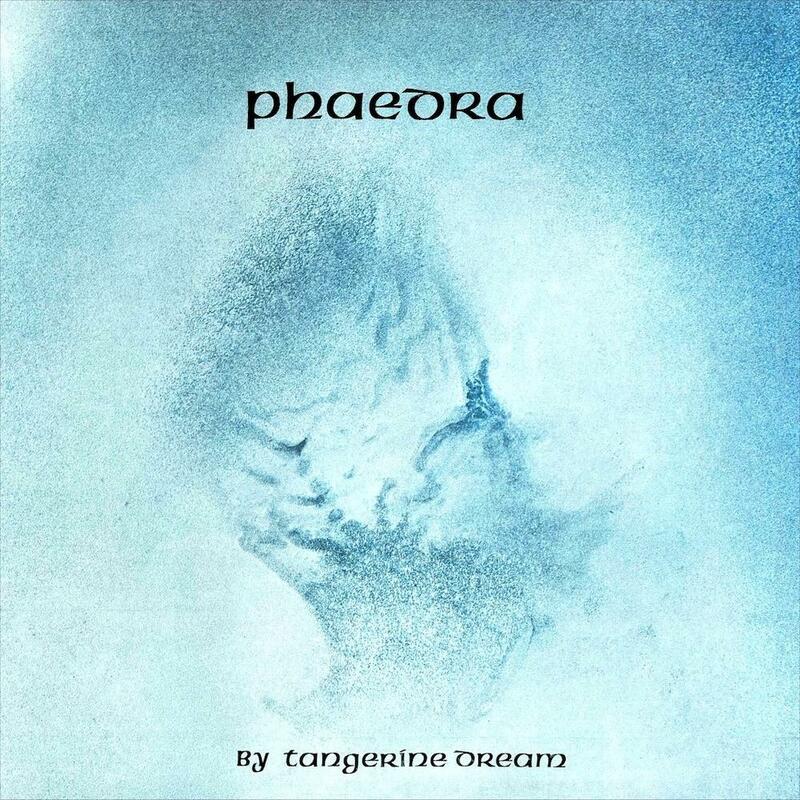 First studio TANGERINE DREAM album with the Virgin label, "Phaedra" is one the most innovative and important records in the history of electronic music. For the band, it marks the first important use of sequencers, and the beginning of the "golden" years. At this period, the result was ground-breaking and resembled no other disc, even TD's previous albums. Ahead of its time, featuring various atmospheres, the music can be described as meditative and hypnotic, with passages somehow pre-dating trance. The reason of this major evolution is that Christopher Franke took the opportunity to buy a big moog modular synthesizer, whose former owner was ROLLING STONES' singer Mick Jagger, who didn't know what to do with it. This type of machinery was very complex back then, the band had to learn how to exploit it properly. "Pheadra" adopts the same structure as on the previous opus, "Atem": the 20 minutes title track as the opener, followed by three other shorter compositions. However, just one year after, there is a large gap between the two albums. In fact, this transition period was not sudden, as it included the aborted project "Green Desert" (composed without Baumann and finally reworked in 1986) and especially Froese's first solo effort "Aqua". Nonetheless, you can still perceive the shadow of the Germans' cosmic years... The title track is a dark long trip into the mind. Its spacey liquid intro unveils the first true electronic sequence in TANGERINE DREAM's musical universe. These fast pulsating loops alternate oppressive and suffocating ambiances with smoother and relaxing passages. This part does not feature many variations and is a little repetitive. Then strange birds sounds appear, like those of the beginning of PINK FLOYD's "Echoes Part 2", but different. The final contemplative POPOL VUH-esque part is great and has reminiscences with their recent "kosmische musik" years. Half "kosmische" and half electronic, half sequenced and half melodic, "Phaedra" is rather unique in TD's discography. The various ambiances forge its personalty. The mixture of sonorities make the result sounds not too dated, the disc ages quite well. The quality is also constant, my only reproach would be that the first part of the title track contains lengthy passages. This album is much more accessible than the previous ones, however I'm not sure to recommend it to TANGERINE DREAM newcomers, as the music is still a bit dark. 1974 was definitely an important year in the development of electronic music. The few other artists to use sequencers at the same period were KRAFTWERK with "Autobahn", and CLUSTER with "Zuckerzeit", however in a different style.